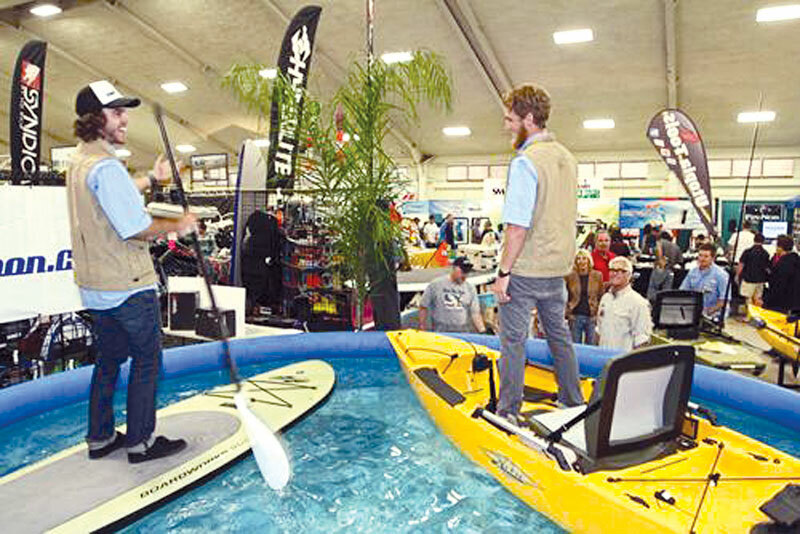 DEL MAR — The 38th annual Fred Hall Del Mar Show returns to San Diego County March 22-25, giving sport anglers, boaters and other outdoor enthusiasts a chance to see the latest in fishing gear, tackle and accessories — along with new boats, expert seminars, fun attractions, an expanded hunting and camping section, and much more. There will be activities and entertainment for the whole family. Attractions will include the Dodge Dock Dogs Competition, the Auto Club of Southern California’s Kids Fish Free Trout Pond, knife-throwing entertainment by Jack Dagger “the King of Fling,” the Great American Duck Races, cooking demonstrations at the Costa Sporting Chef Cafe featuring Scott Leysath, The World Fishing Network Saltwater Tank, the Seeker Rods Freshwater Tank, the Field Time Sports and Guns Speed Shooting Show, the largest boat show in San Diego and more than 200 seminars. Be sure to visit The Log/FishRap booth, where you can sign up for a free digital subscription and e-newsletter to be automatically entered in FishRap’s Kayak Giveaway drawing. The grand prize is a Malibu Sierra 10 kayak. The drawing for the grand prize will be on March 26 — and the winner will be announced in the March 30-April 12 issue of The Log Newspaper. Winners do not have to be present to claim prizes. Fred Hall Del Mar Show hours are noon-8:30 p.m. weekdays, 10 a.m.-8:30 p.m. Saturday and 10 a.m.-6 p.m. Sunday. Admission is $13 for adults, $12 for seniors and free for active military personnel and children 15 and younger with a paid adult.